03.02.2017, Saturday, at 5 p.m.
Bartek Wąsik is a pianist, arranger and co-founder of the Kwadrofonik band, as well as the Lutosławski Piano Duo. Barbara Kinga Majewska is an artist who works with her voice and word. They met as interpreters and performers of the music scores created by the contemporary composers. As a duo they move beyond categories and genres, always paying attention to being loyal to themselves. Trusting in intuition and believing in finesse, they oscillate somewhere within parallel realities to those everyday and superficial ones. Bartłomiej is a pianist, composer and arranger, laureate of many international competitions, phonographic awards and the "Polityka" weekly Passport 2014. He is a co-founder and member of the Lutosławski Piano Duo and quartet Kwadrofonik. The list of places he has performed in includes, e.g., Carnegie Hall, Chicago Symphony Hall and in the Berlin Philharmonic, where with Kwadrofonik they presented an original arrangement of The Rite of Spring of Igor Stravinsky for two pianos and percussion. The author of the Nowa Warszawa/ New Warsaw Project, 12 newly arranged songs about Warsaw (collaborating here with Stanisława Celińska and the Royal String Quartet) honoured with a Gwarancja Kultury/ Guarantee of Culture Award, and - recently – Kocham, Lublin, Szanuję [ I Love, Lublin, Respect] - creating a music piece for a film impression about his hometown. Barbara is a singer, songwriter, publicist, initiator of projects on contemporary music. A graduate of Vocal and Music Pedagogy Faculty at the Hochschule für Musik Detmold. She studied solo singing at the Swedish Royal Academy of Music in Stockholm and musicology at the University of Warsaw. She is a laureate of prestigious scholarship programs and a participant of numerous master level competitions. She has taken part in the world premiere of Sławomir Wojciechowski's Victory over the Sun (National Opera - Project "P") and The Magic Mountain by Paweł Mykietyn. She has also premiered the works of many other Polish composers of the young generation. 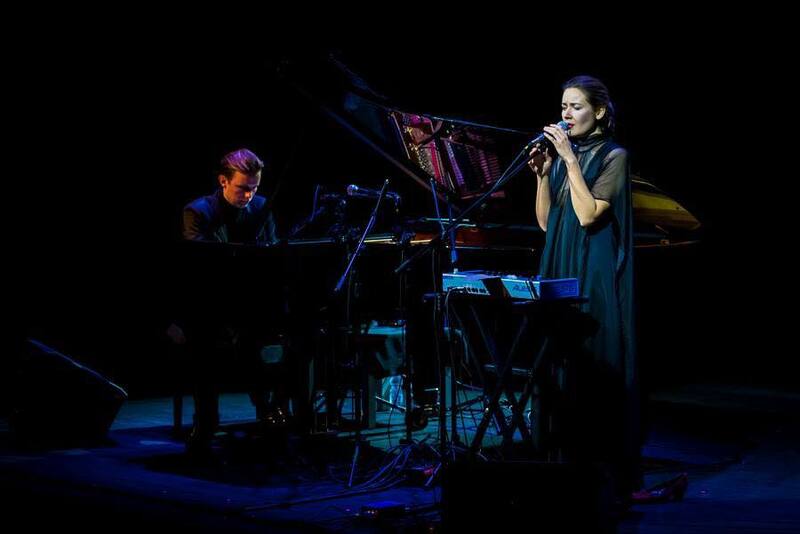 She has won the main prize in the first edition of the "Kropka"- Polish Music Critics' Competition.